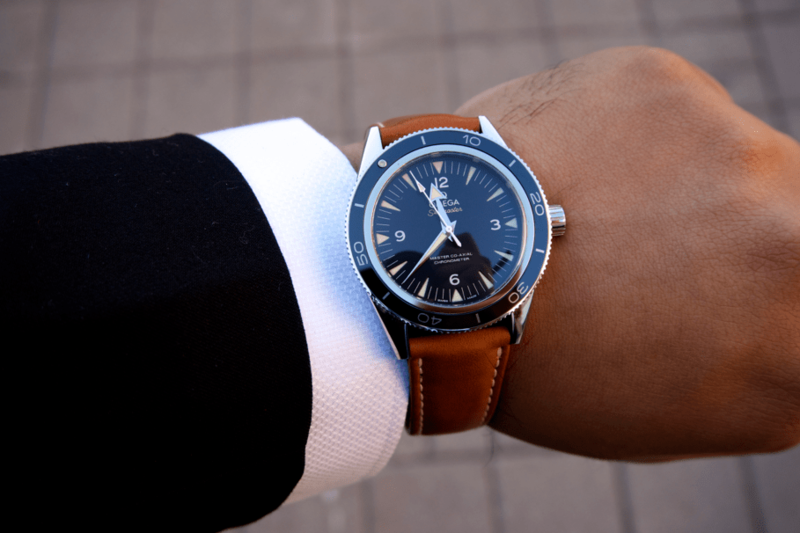 OMEGA Watches is a leading retailer in luxurious watches for men and women everywhere. The brand is the official watch brand for James Bond and with the release of SPECTRE, you can check out some of the cool designs as seen on the characters. 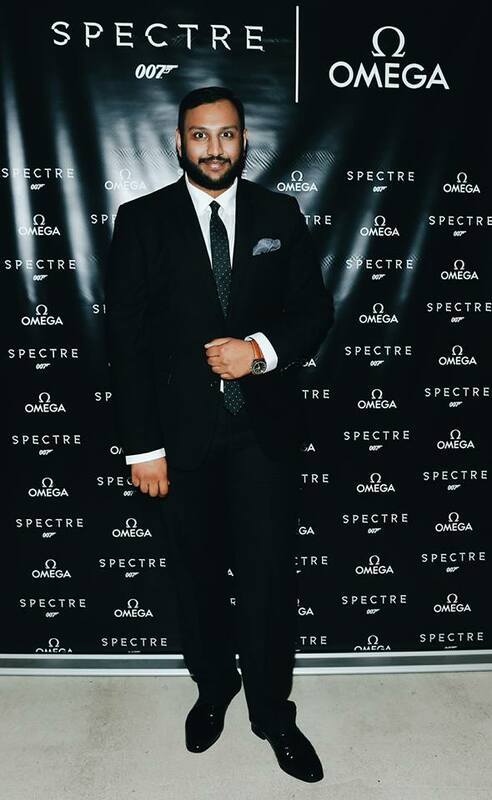 Last week, I had attended the OMEGA 007 SPECTRE pre-screen party and was lucky enough to be asked to wear one their iconic styles, the OMEGA Seamaster 300 M. I have been obsessed with OMEGA’s Seamaster for years so I thought it would be super fun to share information on the history and evolution, which has made this watch such an icon. The very first Seamaster 300 was highly sought after, not only for its superb water resistance, but also for its black dial, broad arrow hour hand, uni-directional diving bezel, and recessed triangular hour markers. That’s why, more than half a century after its first release, this new edition has kept those same distinguishing features. By celebrating the past, OMEGA has had the perfect design platform to create the next generation. From the inside, the new Master Co-Axial calibre 8400 not only boasts the same accuracy and reliability as its predecessors, but also features revolutionary anti-magnetic technology. Like nothing else before, this stand-out feature gives the Seamaster 300 an innovative edge. One of the most talked about additions is OMEGA Ceragold™, which has been used to create the polished bezel and give the watch a breath-taking finish. Finally, the case itself has been updated with unique Sedna™ gold, OMEGA’s distinctive 18k rose gold alloy. It’s true that 1957 was a definitive year in the history of OMEGA. New collections and advancements were making big waves in the watch-making industry. In commemoration, this year’s Seamaster 300 has been styled with a number of “vintage” components. Most evidently, the calf leather strap gives the watch a traditional character, as well as exceptional smoothness to the touch. Noted for its natural coloring and grain structure, it delivers yet another high mark of quality. In addition, the recessed hour markers have been partially filled with “vintage” Super-Luminova, a refined look by day, and a radiant blue glow in dark conditions. Thanks to these outstanding additions, you no longer have to dive beneath the ocean to appreciate the qualities of the Seamaster 300. Wherever you go, this incredible watch will offer all the sophistication and distinction that you’d expect from a modern OMEGA timepiece. The Seamaster 300 M as seen in my blog retails for $6,900.